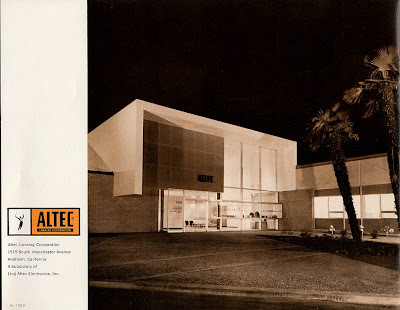 The Altec HQ in mid century modern style is amazing. 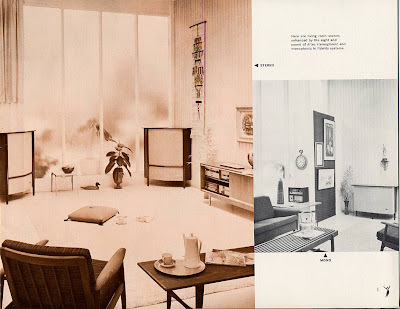 As are these scans of some of their brochures showing listening room examples. Very stylish and very cool. 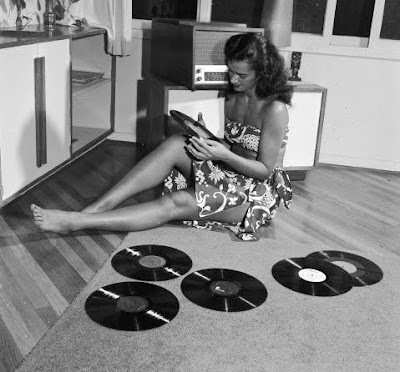 Why are there so many pictures of girls with their records laying all around the floor. Does this explain why so many records we have been looking for for so many years are in crap shape. I really hate it when I finally find that record that I've always wanted and it loooks like she owned it. Sorry I'll stop ranting but at least she is cute. 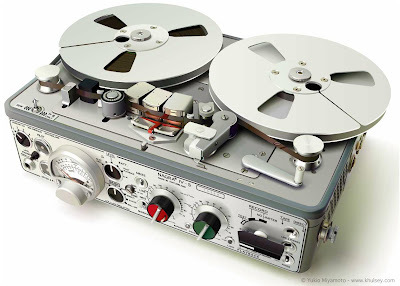 The Nagra battery powered reel to reel is Swiss industrial design perfection. 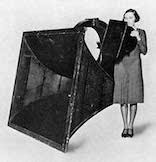 These were the standard field recording devices until the 90's. From the 50's to the 90's it was upgraded and refined 9 times. I'd really love to have one of these. Not sure who made this or where it is from but I found it in my cool systems folder. These pictures and information are all from the ebay seller. Youtube video click here. 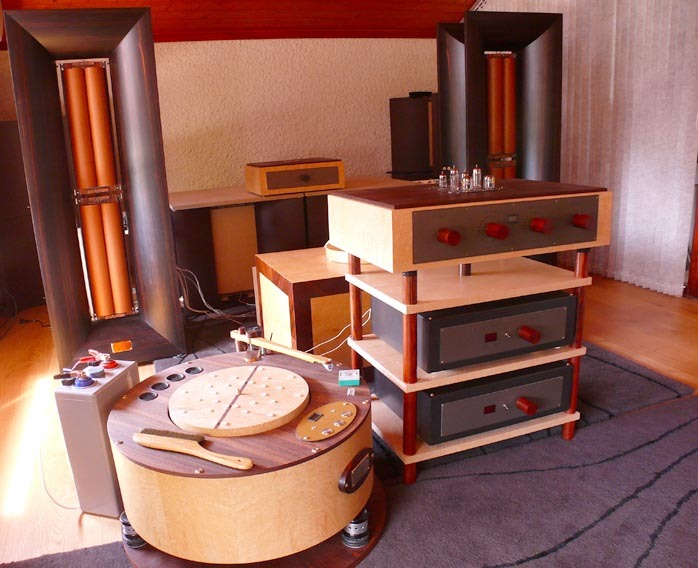 Stu Hegeman is revered by high-end audio engineers as he was one of the first focus on components and speakers designed specifically to sound like music and not just measure well for specifications sake. 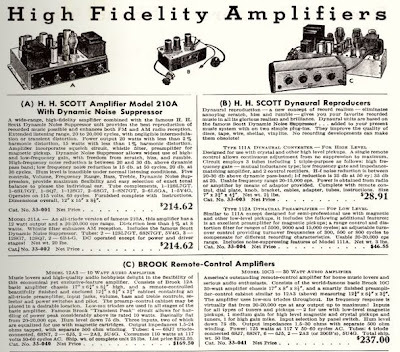 For example he was first to identify negative feedback (a common method amp designers use for reducing measurable distortion) as a source of unusual distortion in itself, which was undetectable by the instrumentation of the day. As measurement methods evolved, Hegeman’s philosophy was proven true. Like many geniuses in their respective fields Hegemans’s ideas were so far ahead of their time they were scoffed at by his peers, but are now universally accepted. 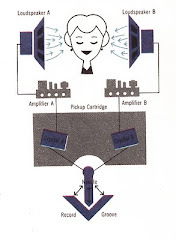 His theory of amplifier design based on ultra-wide frequency response, stating the frequency response of an amplifier should not be limited to the range of human hearing (20 to 20,000 Hertz) but should also be extended to the fringe areas of the audio band (10 to 40k Hz), was laughed at. But two decades later nearly every manufacturer adopted this principle to some degree. 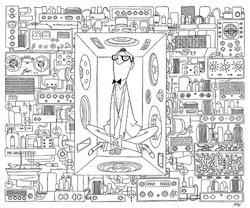 Unlike so many other audio engineers Hegeman was not limited to a specific area of audio design. He made brilliant breakthroughs in almost every area of audio, including FM tuners, preamplifiers and loudspeaker design. He even invented a large screen projection tv in the 50’s and handmade a working video recorder prototype in the 60’s long before anyone knew what these were. 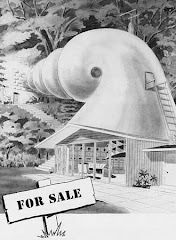 He also invented the soft dome tweeter and the omni-direction speaker system. 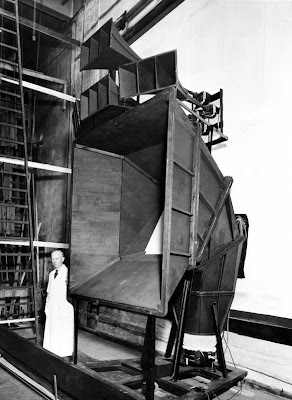 His theoretical work on loudspeaker dispersion and electronic sound in general have been snapped up by manufacturers and still serves as the basis of their product lines to this very day. Donald Chave was a true believer in the philosophy set forth Lowther founder - Paul Voight - who had the vision, technical abilities, and marketing prowess to take the company to the next level. 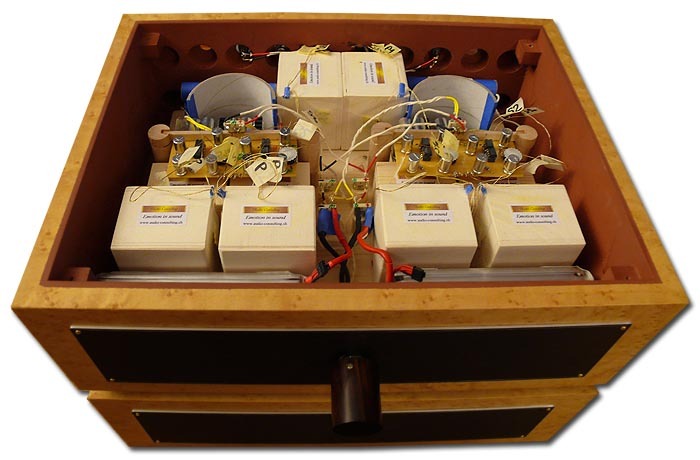 Chave updated and expanded a series of permanent magnet full-range drive units (that are still made today, fundamentally the same) and produced many speaker enclosures that extended the frequency spectrum of these highly sophisticated drivers. Donald Chave was also wise enough to recognize true talent and humble enough to seek help. 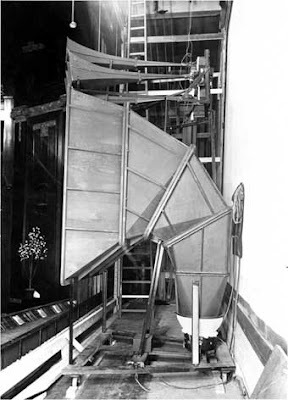 So in the late 40’s Chave implored Hegeman to come to Britain and work with him on a new flagship loudspeaker for Lowther. 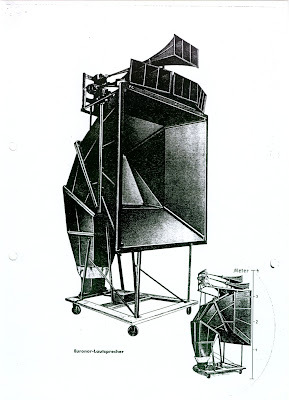 Hegeman was a big fan of the Voigt/Lowther philosophy and his talents and passion were well suited to maximize the sonic benefits of this unique system. In 1934, Kent England, an alliance between Paul Voigt and O.P. 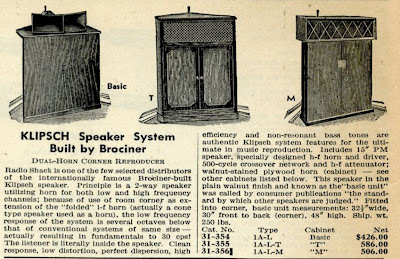 Lowther brought forth one of the most influential loudspeaker manufacturers of all time, Lowther. 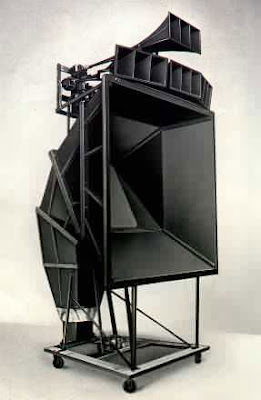 The Lowther/Voigt union was based upon Voigt’s invention of the “Domestic Corner Horn” a home hi-fidelity loudspeaker design he started developing in 1924 (that’s 22 years before Paul Klipsch’s famed corner horn) Voigt was an electronics genius who broke new ground in the fields of radio circuitry, recording cutters, microphones, amplifiers, transformers, pickups and loudspeakers. He is one of the unsung pioneers of sound reproduction, whose brilliance and contributions to audio never received its due recognition. 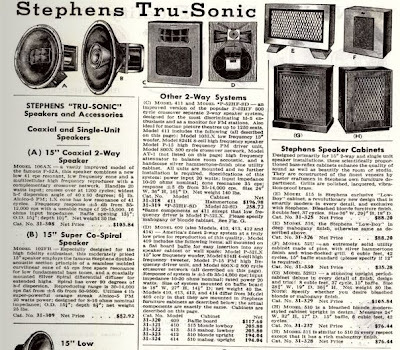 His work laid the technical groundwork for entire industries and his theories of sound reproduction continue to prove more accurate as time progresses. Though the average audiophile probably never heard of Paul Voigt he has the highest respect of the generations of audio designers who succeeded him. 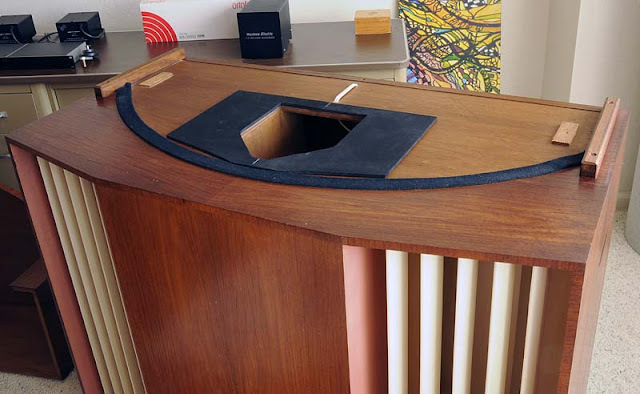 Peter Walker the inventor of seminal electrostatic speaker designs said “I can think of no single man who has done more in the field of audio” - Paul Klipsch also had tremendous respect for Voigt, whose own speaker designs were influenced by Voigts. In a nutshell, the full-range Lowther philosophy is that the audio spectrum should be covered by a single driver, believing the incorporation of multiple drivers and the required crossover filter rob the music of its true natural presentation and introduce distortion and phase shift that is unavoidable. The difficulties of developing a full range single driver system are numerous, yet its strengths are just too good to overlook. Nearly all conventional multi-driver speaker systems put a crossover in the mid-range to split the signal to the bass driver and the tweeter. Music is made up of approximately 70% midrange and this is the most critical hearing region, where our ears are most sensitive. If the midrange is off then it really doesn’t matter what the other ends of the frequency range sound like, our brains are convinced what we are hearing is not the real thing. There is no way around it, crossovers introduce phase and balance problems that cause deterioration in detail, transparency and imaging. And the design variations of each driver in a multi-driver system, with differing time-constants and sonic characteristics, further blur the sonic picture being presented. Theoretically, a perfect speaker system would be a single driver with the ability to reach all the frequencies necessary to reproduce music. This is the goal designers have been longing for since Paul Voigt first developed his single driver full range approach. Despite the loss of some of the lowest and highest frequencies, the gains produced by lowther's approach in coherency and naturalness are well worth it. Especially if your musical tastes run towards classical or acoustic instrument. 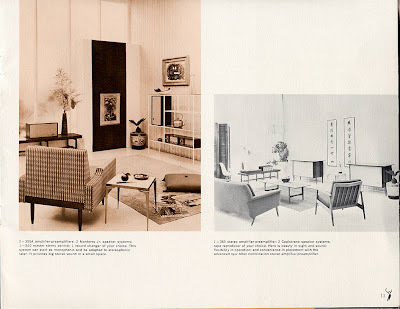 For reproducing the human voice there may never be a design surpassing the coherency presented by the Lowther designs. The Lowther-Hegeman is one of the best executions of the Lowther single driver full-range philosophy. It extends the frequency range of the PM4 driver to amazingly wide proportions and disperses music uniformly over a wide angle. It utilizes a folded horn for high and mid frequency and a rear-loaded horn for bass response. The Lowther-Hegeman utilizes an elaborate folded “W” bass horn specially designed to exploit the rear output of the Lowther PM4 driver. 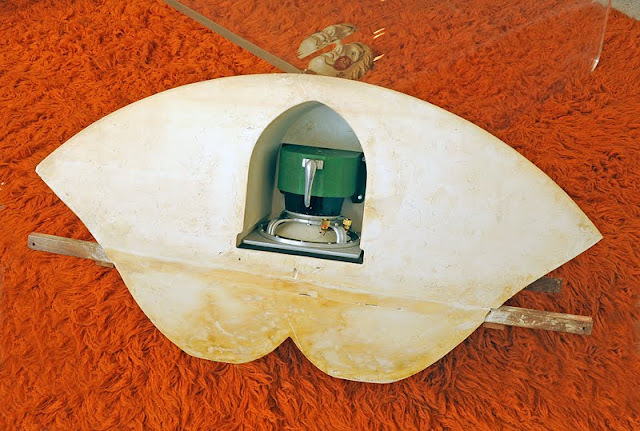 The front-horn is a unique dual outlet double rate flare horn crafted of Plaster-of-Paris. The P.M.4 driver was developed for, and first used in, the Lowther-Hegeman system in 1951. 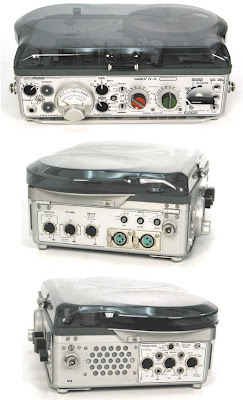 It is a marvel of audio science that is still being produced today by Lowther UK. 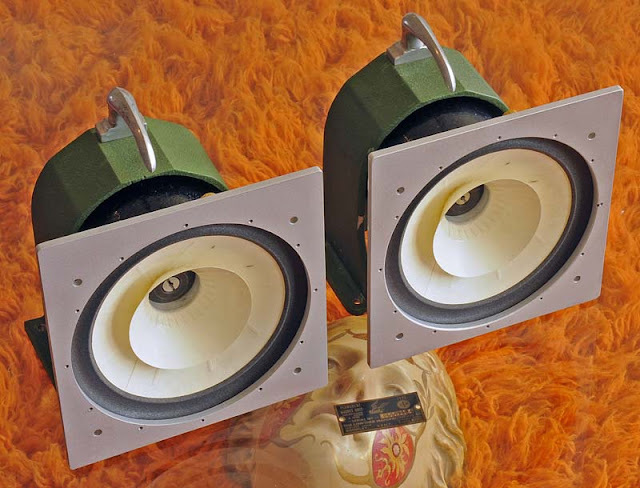 The PM4’s in these Hegeman speakers are the original greenbacks with the no-longer produced Ticonal-G magnets. The shape of the magnet is of considerable importance, enabling enormous magnetic force into the gap. The PM4 produces an astonishing flux rating of 24,000 Gauss. This in combination with an incredibly light and nimble cone (only 6.5 grams of moving mass) equates to speed, which, to your ears, translates to incredible sonic detail, superior natural reproduction, wide dynamics, and outstanding transparency. In general all Lowther drivers require new cones over time because of the natural deterioration of the delicate surrounds and spider assembly. These drivers have been re-coned a total of three times over the past 55 years. The original owner had them re-coned twice, once in 1971 and again 1997. We have, and will include, the original letters of correspondence with Lowther. 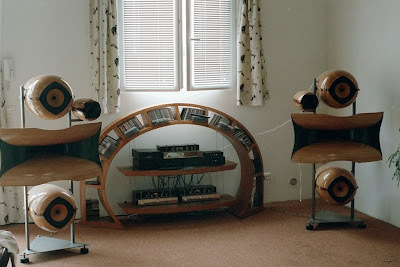 At the time of his last re-cone Lowther updated the frames to the rounded style that you see on Lowther speakers today, this was common practice. When we received the Lowther-Hegemans and inspected the PM4’s we felt it was best to re-cone both drivers. We wanted to return the PM4’s back to as close to original as possible in both performance and appearance. 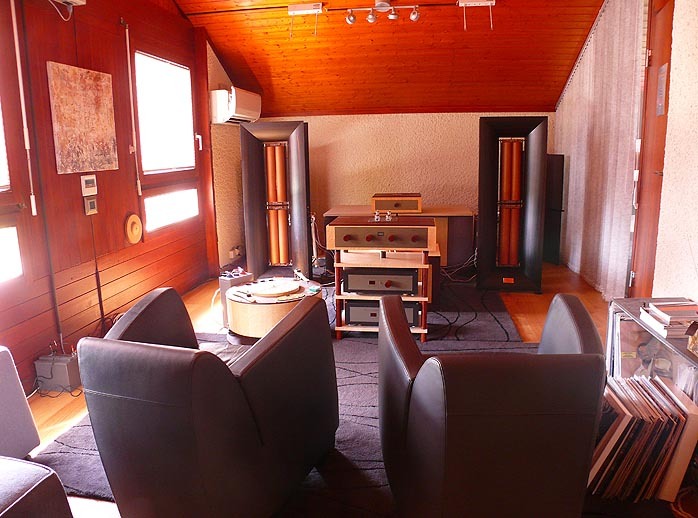 We questioned many Lowther experts and the name that kept on coming up was Ines Adler of Full Range Speakers in Berlin Germany. 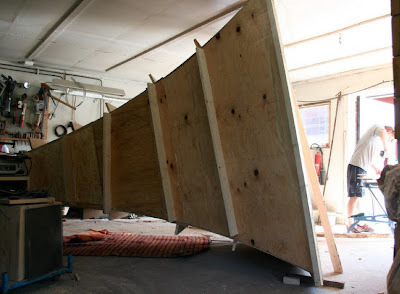 They were the only ones who re-manufactured the original style square-frames and they utilized cones that best matched the electrical and sonic characteristics of the original 1950 era PM4 cones. We sent both drivers to Fullrangespeakers in Germany where they were expertly re-coned and they also fully re-magnetized the original Ticonal G magnets. We could not have been happier with the results as the drivers perform to a level exceeding our expectations, with a look and sonic character archetypal of the original 50’s versions. 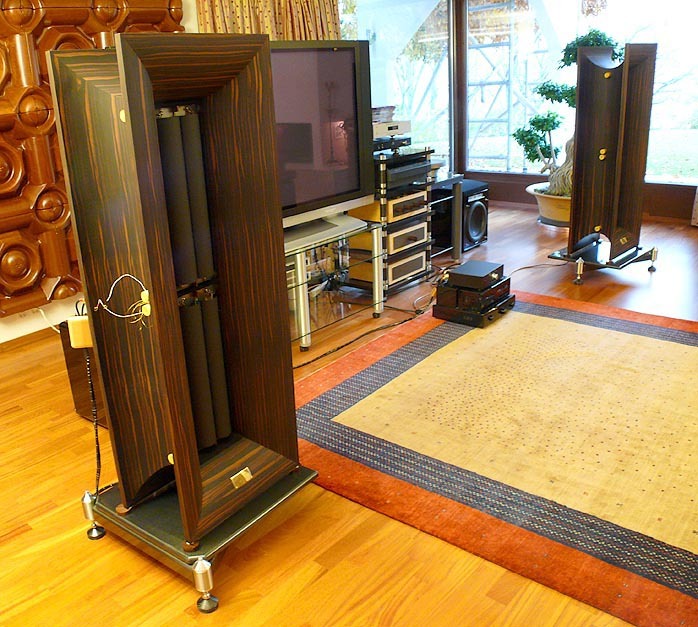 Fans of Lowther speakers, and other fullrange designs, will absolutely love the Lowther Hegeman system. It is amongst the best, if not the best, representation of what the Lowther sound is all about. If you like full range electrostatic or planar type speakers, you will probably be more impressed with the Hegemans, as they have all the favorable characteristics of those designs with a whole lot more dynamic impact. Their sound is akin to a pair Quad 57’s on a heavy dose of steroids. 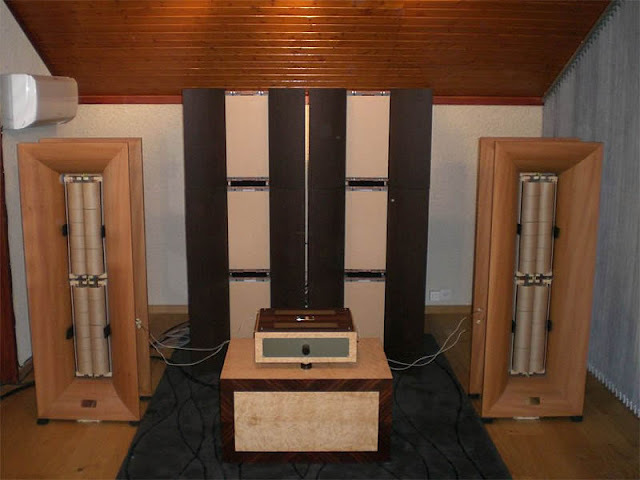 If you are a fan of classical, jazz, orchestral, acoustical, opera, chamber, folk, or any other music genre where the primary source is of natural, non-electronic instrumentation, you will love the Lowther-Hegeman system. What they do better than any other system is their incredible natural sonic depiction of human voice and acoustic instrumentation. A properly recorded orchestra played back through the Hegeman’s produces an eerily life-like experience. Tracks that capture the melodic nature of a woman’s voice, will send shivers down your spine. Conventional systems can’t compete with the Hegeman’s on these aspects. The system has a level of coherency, clarity, speed, naturalness and pure musical energy that is unmatched. 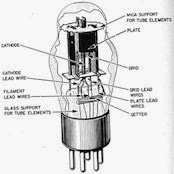 What they accomplish with just a few watts of single ended triode amplification is truly astonishing. 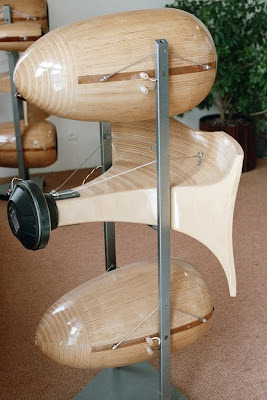 Traditionally the biggest criticism of Lowther speakers in general lack of lowest bass, which is not entirely true. Larger cabinet systems such as the Lowther-Hegeman do make it down to the lower bass regions that includes a vast majority of recordings, yet in comparison to many modern high-end multi-driver systems they do lack the extreme bottom end. If your primary listening tastes are rock, dance, techno or other bass heavy music this may not be the speaker for you, but they are such a wonderment everywhere else in the frequency range that you may simply not care about the missing lowest bass frequencies or find it a better option to locate a worthy subwoofer to get the last few Hz. 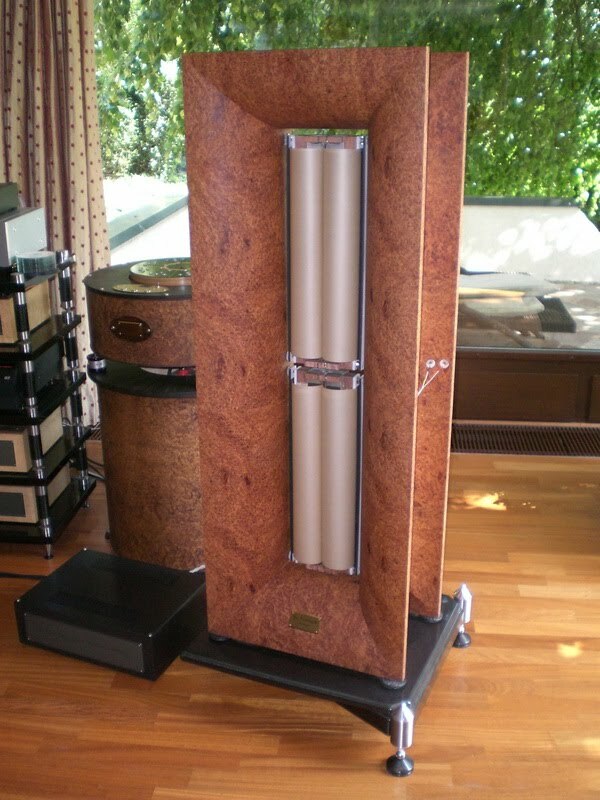 The original owner of this amazing set speakers was a decorated WWII Vet and a Lieutenant Colonel in the United States Air Force. During the 1950’s he was stationed in Formosa I (Taiwan) and frequented Hong Kong . 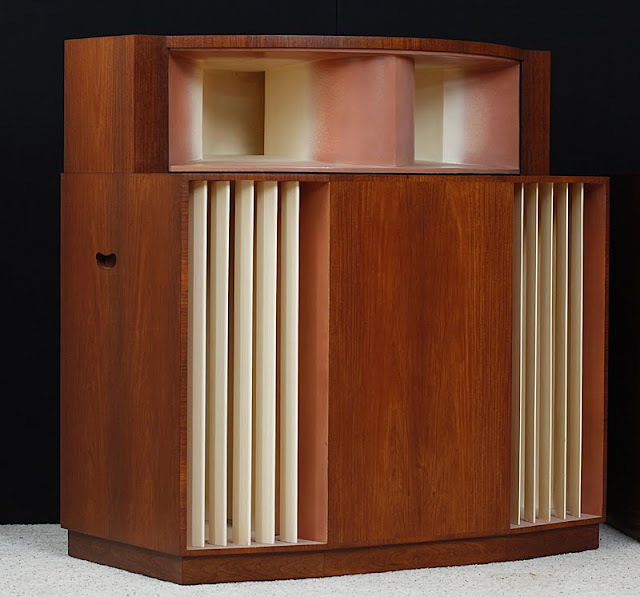 In 1958 he purchased this pair of Lowther Hegeman speakers along with a matching equipment cabinet and components from The Radio People, Ltd on 31 Nathan Road, Kowloon, Hong Kong. 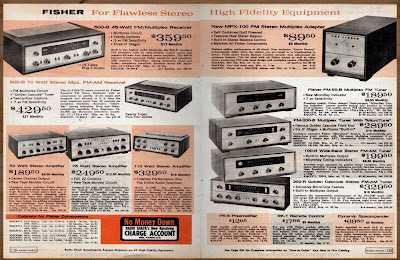 For those of you who don’t know, The Radio People, Ltd was a Mecca of hi-fi in Asia that specialized in Europe’s finest audio gear. It became a famous destination point of American service men and all music lovers of Asia. It was one of the only authorized dealers of all major British equipment manufacturers in the 50’s. When the Colonel came back to the US he brought his equipment with him. 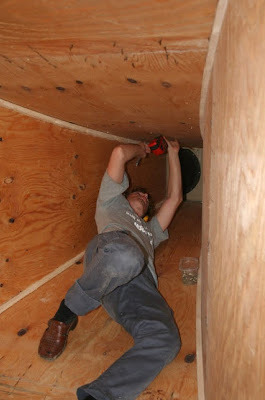 He enjoyed this system for the rest of his life in his home in Phoenix AZ. Over the years he maintained the system, re-coning the pm4 drivers when necessary. He kept mail correspondence of these services from Lowther UK in 1971 then again in 1997 from the Lowther Club of America. 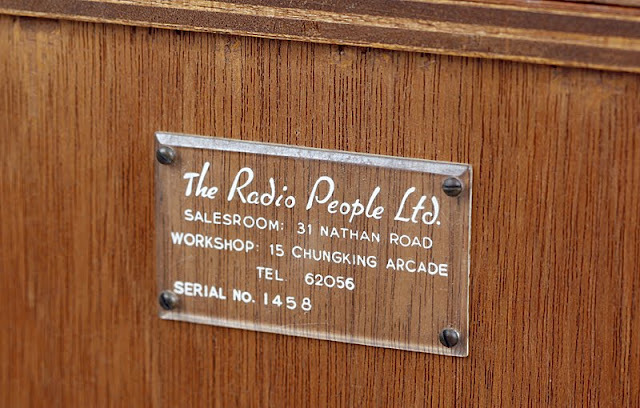 According to the original paperwork the wood enclosures were crafted by The Radio People, LTD while the PM4 drivers and Plaster-of Paris horns were imported from the UK. This was the common business model of the day for all British manufacturers because of the high cost of labor in the UK, shipping complications, and taxes/duties. If you were going to be a Lowther Distributor anywhere else in the world other then the UK you had to invest in a first class woodworking shop - which The Radio People did - Craftsmanship of the enclosures is absolutely phenomenal. 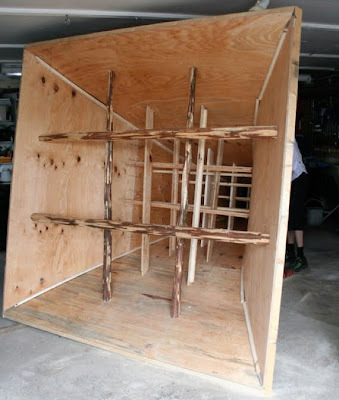 They were built to precise specifications as provided in the original plans (included) using marine grade plywood - all vital joints were dove-tailed and tightly bonded. Veneer is high-grade teakwood of 3/32” thickness with a hand rubbed oil finish. There may very well be no other pair in existance with this teak finish. Cabinet Condition - The cabinets of the Lowther Hegeman were luckily in phenomenal shape for their age. There were no rings, stains, scratches or gouges. The finish was is little dry and the areas were the woodgrain lines are show a slight raise. Also there is a slight variation of color between the two cabinets because of their placement in the original owners house and proximity to the incoming natural light. Using a light coast of Howard’s Restor-A-Finish we were able to bring them back to very good condition. The luster and color of the teakwood is outstanding. All of the original seals on the cabinet and plaster-of-paris horn have been replaced. 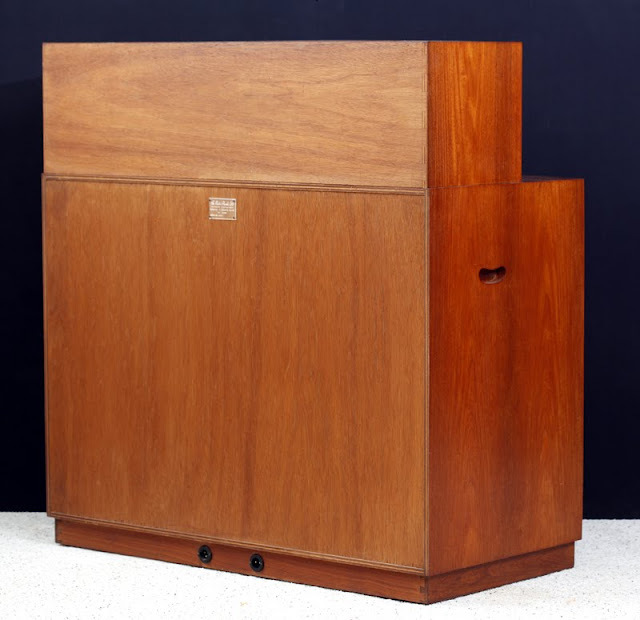 Final Note - Odds on finding another pair of Lowther-Hegeman loudspeakers, anywhere in the world, so closely matched and in impeccable condition, are slim to none. We have spoken to many Lowther enthusiasts, many in their 80’s, who have never even seen one. The only other Lowther-Hegeman that we were able to track down is located in the Lowther Voigt Museum in England, and that is a single not a pair. In the vintage audio world this is the rarest it gets. 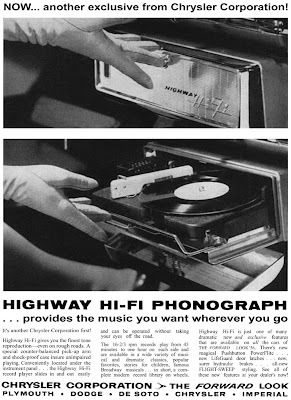 A system with a heritage rooted into the very beginnings of hi-fi and a lasting impact on today’s designs. 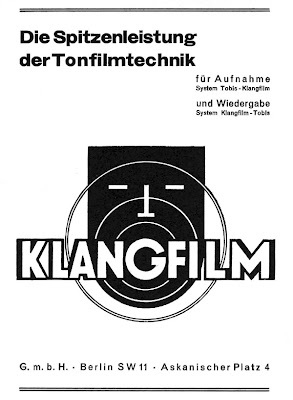 The early European theatre system equivalent of Western Electric or RCA is Klangfilm. 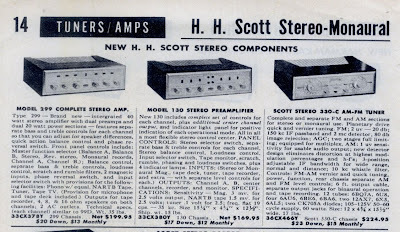 They utilized some these tried and true WE and RCA systems but also developed many amazing systems of their own. My favorite so for is the Euronor. Bloody hell talk about some hugmongus horns. I'm still doing some research on the company and some of their other systems. 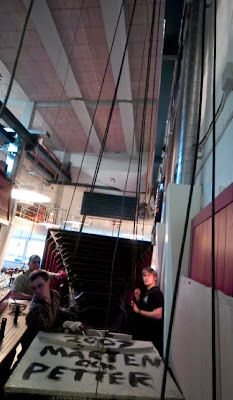 Check out these pics especially the one with the guy standing next to a Euronor. Not sure where I found these system pics but I find them very interesting. The matching system and cd rack are very cool. This was obviously made by a talented craftsmen. 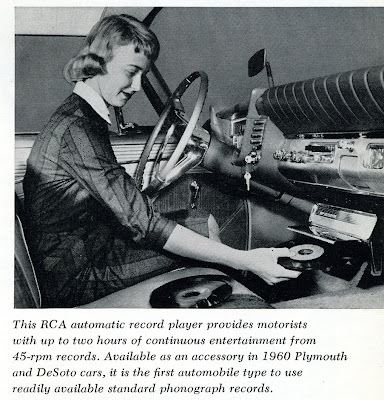 I'm worried leaving my new record purchases in the trunk when I am driving around nevermind being able to play records while driving. How do the records fair from this kind of use? If anyone has used one of these in a vintage car please comment to this post. This is just fascinating. I've been buying RTR tapes lately. This is nit very easy because good titles are very expensive. I've already learned the value of a splicer on older tapers. My Pioneer RTR is a little brutal on the rewind and fast forward. Anyway I've almost caught up from my trip so hopefully get some meatier post next week. Austin is one of the best record shopping cities I have ever been to. I was unstoppable. I've never bought so many records in one weekend. Not sure how much I spent but I don't want to know. How many times are you faced with classic Space Age Bachlor Pad Albums, African Jazz, Talking Heads picture disks, Caribbean 45's, Calyopso, and some other crazy records. A little shop called (edit Breakway Records not Backspin) was my favorite because they had great prices and a cool selection. I did hit backspin as well but their prices were a little higher and record quality not as good. I still bought some records there. Next stop Dallas. I'm going to chases some Japanese new wave punk rock bands across Texas hill country over the next week so here is a Hi-Fi girl and some JBL speakers. Hopefully my hotel will have internet access. After researching what Audio Consulting is doing the first thing I thought was bloody hell this is really different. Not a closer approach but a completely different approach. Highly impressive custom solutions. Check out these links. A visit to Audio Consulting. The speakers caught my eye first. I mean what the hell are those! Well the product name is Rubanoide or Ribbon Like. I assumed they were inefficient beasties but no they are not. Check out these specs. They obviously need a bass module but hell man they have as well. Explore the speaker products on their website. Wow. 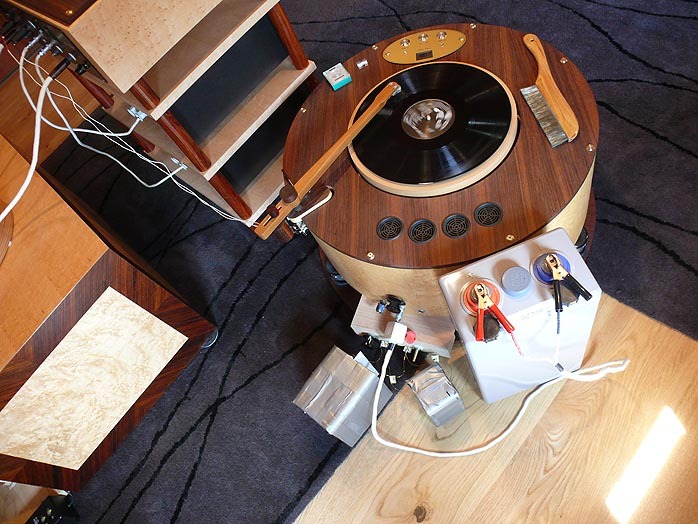 Their turntable is a sculptural work of art or at least to me it is. 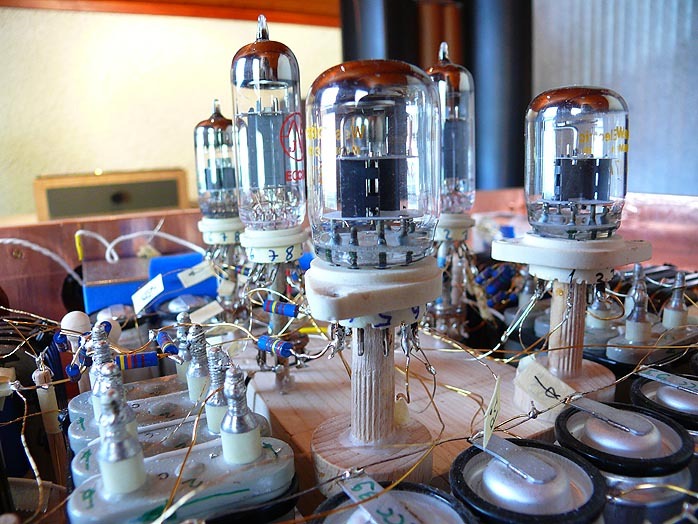 The amplifiers and preamplifiers look fairly tame from the outside but on the inside it looks like something a genius mad scientist cooked up by listening to insane engineering voices in his head. These are systems I think you just have to hear to believe. Would I like it? Who can tell but I can certainly endorse the spirit of audio adventure and creativity outside of the box they have embraced. Wow thanks for showing us something different. 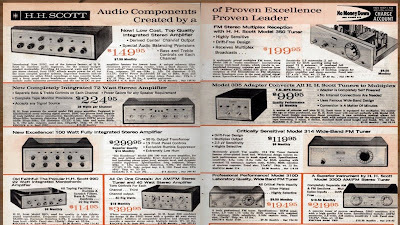 This is a site that posts old Radio Shack catalogs in an easy to browse format. 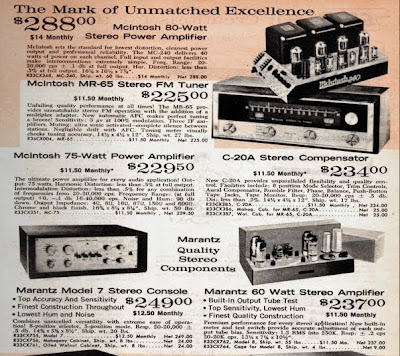 I didn't realize Radio Shack was once so cool. 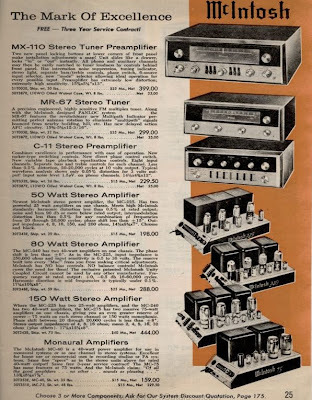 Radio Shack started to fade in the late 60's about the time they started pushing the realistic products but still much better than it is today. 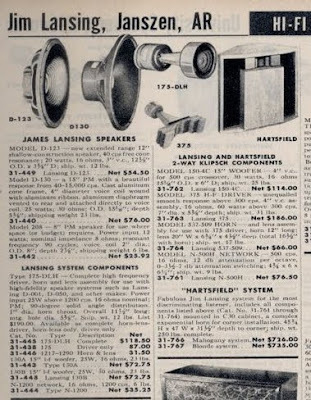 Here are some examples of what Radio Shack offered from the late 40's to late 60's. They have alot of history that is interesting. I was very surprised to see what they once sold via mail order and in store. Explore the website it is really cool. This is what I'm talking about. Horns you can walk in and vacuum like they are a spare room. WAF! F*&% WAF! These guys are amazing. 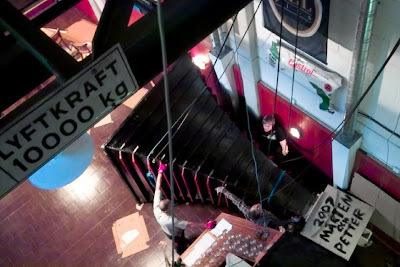 A large horn built to handle 30hz - 100hz. They are my new horn building heroes. There are lots of pics so enjoy. A note from the builder. 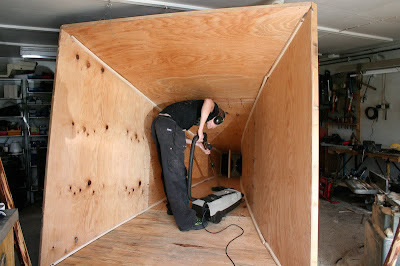 This is a photo record of construction of the Mega Subwoofer Hornet Beatrice. Syftet med bygget var att hon skulle agera subwoofer i Farkosttekniks sektionslokal på KTH, där diverse fester och partyn tidigare saknat det där lilla extra som får det att skaka i hela kroppen. 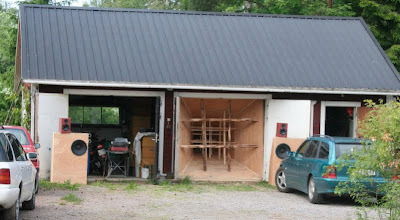 The purpose of the building was that she would act subwoofer in Vehicle Engineering at KTH local section, where various festivals and parties previously lacked that little extra that makes it shake the whole body. Lite kort om högtalern Beatrice. A little short on speaker Beatrice. 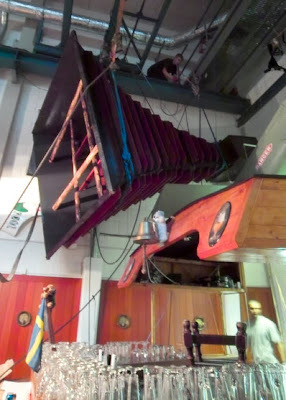 Det är en subwoofer av hornkonstruktion avstämd för att spela från 100Hz och ner till ca 30 Hz. 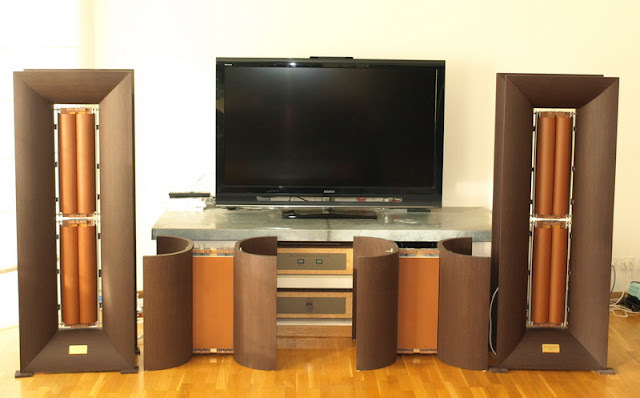 There is a subwoofer design of horn tuned to play from 100Hz down to about 30 Hz. Det sitter två st Beyma 15K200 element i den, och de är på sammalagt 800W, hornkonstruktionen ger dock en akustisk förstärkning på ca 10ggr, så Beatrice kan lätt mäta sig med högtalarsystem på sammalagt 8000w. There are two pc Beyma 15K200 elements in it, and they are just put 800W, horn design, however, gives an acoustic gain of about 10 times, so Beatrice can easily compare with the same speaker added 8000W. Bygett tog ganska exakt hela sommaren, startade i slutet av maj och hon kom upp den 4:e Augusti. Bygett took quite closely throughout the summer, started in late May and she came up August 4. Det genomfördes till stor del av mig och min vän Petter. It was a big part of me and my friend Peter. Vi två har lyckats genomföra detta bygge samtidigt som vi båda jobbat heltid på våra respektive sommarjobb. 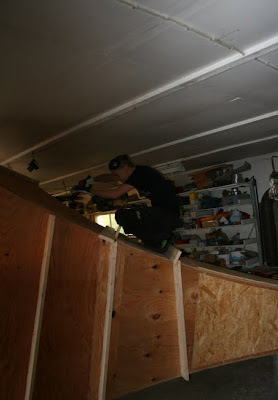 We two have managed to implement this construction while we both worked full time on our respective summer jobs. Mer text och bilder kommer så småningom. More text and images will eventually. Och eftersom det blev så många bilder på detta bygge var jag tvungen att skapa flera st album så kolla även de andra albumen om Beatrice. And since there were so many pictures of this building, I had to create multiple pc albums so check also the second album of Beatrice. Transporting must have been interesting. Bravo! That is just stunning. 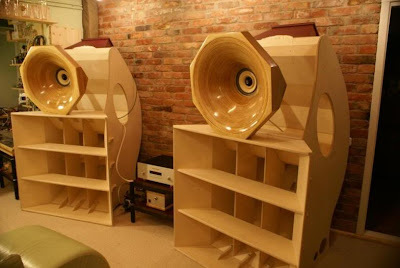 I would love to walk in to a club and see those as speakers. Amazing work.